Chipata district has recorded a 43 percent increase in maize crop harvest this year. 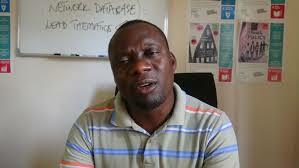 Chipata District Agriculture Coordinator, Michael Ngulube confirmed this to Breeze News. 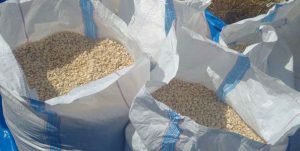 Mr. Ngulube says the maize crop harvest has increased to 4 million 115 thousand by 50 kilogram bags this year compared to last year when the district harvested 2 million 885 thousand by 50 kilogram bags. Mr. Ngulube attributed the increased harvest to good rainfall that the district received in the 2016/2017 season and quick intervention by government to curb fall Army worms that had attacked the crop. And Mr. Ngulube explained that the district has also increased its yields in most crops this year. He says groundnuts yield has increased by 55 percent as the district is expected to harvest slightly over 479,000 by 50 kilogram bags this year compared to 309, 952 by 50 kilogram bags harvested last year. Mr. Ngulube says most farmers in the district have cultivated soya beans this season, which has resulted in an increase of 70 percent of the crop yield. He says the district will harvest 500,000 by 50 kilogram bags of soya beans this year compared to 200,000 by 50 kilogram bags harvested last year. Mr. Ngulube added that Tobacco has also recorded an increase of 55 percent while sunflower has increased by 15 percent. Two people have drowned in separate incidences in Chipata and Chadiza districts. Chipata City Council Chief Fire Officer, Fackson Mbewe confirmed the incidences, which occurred yesterday to Breeze News. 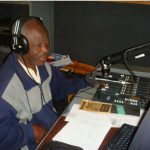 Mr. Mbewe says Isaac Banda aged 35 of Undi Village in Chiparamba area drowned in Fisheries Dam near Gonda Barracks in Chipata. Mr. Mbewe says Mr. Banda went fishing at the Dam when he meet his fate. He says the body was retrieved by the fire rescue team around 15 hours yesterday and has been handed over to the police. Mr. Mbewe added that Isaac Zulu aged 12 of Manzuzo Village in Chadiza drowned in a well and his body was retrieved by the Fire Rescue team around 08 hours yesterday. Mr. Mbewe says Isaacs’s body has been handed over to the police in Chadiza. 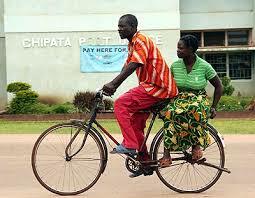 Some cyclists in Chipata have vowed not pay any levy to Chipata City Council. This follows a meeting which was held on April 20, 2017 where the local authority directed cyclists to start paying levy. One of the cyclists Peter Tembo told Breeze News that not until a meeting for all stakeholders is called, cyclists will not pay levy to Chipata City Council. Mr. Tembo who is also Kapata ward PF Chairperson says all cyclists have agreed that the provincial permanent secretary must attend the meeting and confirm that the directive to have cyclists start paying levy was issued by President Edgar Lungu. He says that during the meeting held on the 20th of April 2017, Director for Housing and Social Services at Chipata City Council Judith Maambo told the cyclists that President Edgar Lungu directed councils to start charging cyclist levy. Mr. Tembo says representatives of the President such as Provincial Permanent Secretary, District Commissioner, Mayor, town clerk and councilors need to affirm what the president had said about cyclists paying levy. He argued that since late President Levy Patrick Mwanawasa had directed that cyclists stop paying levy to the council, it is only the head of state, who can reverse the directive. People of Chief Kapatamoyo’a area in Chipata have asked government to work on M’noro-Mnukwa road. Kennedy Mwale of Chongololo Village says that the road has remained in a deplorable state for a long time. He says the road is very important to people of the two chiefdoms, as it joins them to other areas and Chipata town. Mr. Mwale also noted that due to the absence of proper bridges, pupils from Chongololo, Chikwala Kelevasi and Sacia find challenges to attend class at Chisomo Primary School. He noted that the people also find serious challenges to take their farm products to markets due to the poor state of the road and bridges. Mr. Mwale also says people in the area are ready to contribute the 25 percent required from community members on developmental projects. Government has been called upon to open all tobacco floors in Eastern Province for this year’s marketing season. United Party for National Development UPND says that reports that farmers will only be able to sell their crop at a floor in Chipata town are worrying. UPND Provincial Spokesperson, Victor Mbuzi says that TBZ, the Tobacco Board of Zambia should ensure that Mugubudu, Zemba and other floors in the province open. Mr. Mbuzi says that farmers will make losses if they are forced to transport their produce to town, which might also result in congestion. He says that his party is deeply disappointed to learn that Mugubudu floor has been closed. Some people in Eastern Province have described the Labour movement as dead. Contributing to The Voice program on Breeze FM this morning, disappointed callers said the labour unions are not doing enough to assist employees who are often exploited by their employers. The callers questioned why the unions do not make regular checks in various companies to see conditions under which most people work. And other callers called for investigations into reports of corruption at the labour office. They noted that some employers even boast to their workers that they would rather pay bribes to labour officers, than giving good salaries. In response Chipata District ZCTU, Zambia Congress of Trade Unions, secretary, Ronald Mbuzi, called on employees to always report any exploitation to the union. He observed that while the complaints from workers are genuine, most of the affected do not approach the unions to lodge in complaints. Mr. Mbuzi explained that it would be easier for labour unions to follow up matters of employee exploitation once they have reports. And Provincial Labour Officer, Joseph Kaindama, dismissed allegations of corruption stating that whenever the labour office calls employers to their office, it is meant to get their side of the story on a particular labour dispute and not to get bribed. Mr. Kaindama advised people, who are employed on casual basis in big companies to report to his office. He explained that his office will not tolerate a situation where big companies employ people on casual basis. Meanwhile Zambia Federation for the Blind provincial chairperson, Samson Njobvu expressed concern that most often, labour concerns from the disabled are not taken seriously. Government has been called up to assist small scale farmers who supplied their maize to ZCF, Zambia Cooperative Federation last year. Civil Society for Poverty Reduction CSPR says that it is regrettable and painful that the small scale farmers have not been paid their money one year after giving their maize to ZCF in good faith. Advocacy and Communication Programme Coordinator, Maxson Nkhoma says CSPR is aware of the contractual dispute which led to litigation between ZCF and the Malawian government but this should not affect the farmers. Mr. Nkhoma says that ZCF being a government agency just like FRA, the Food Reserve Agency, government has an obligation to come to the aid of ZCF and pay the farmers their money which has been long overdue. He says that as the crop marketing has begun, CSPR wishes to appeal to the farmers to pick lessons from this incident and avoid trading their hard earned crops in a manner that will make them regret their action. Police has dismissed an allegation by UPND leader Hakainde Hichilema’s wife, Mutinta that police officers who visited their house to arrest Mr. Hichilema had stolen money and other property. 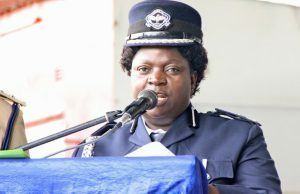 In a statement to Breeze News, Police Spokesperson Esther Katonga says that the allegation lacks merit. She says that on Friday, Mrs. Hichilema went to Woodlands Police in the company of the media with a view to lodge a complaint against some police officers alleging that they stole undisclosed amounts of money and property during the time when the officers went to apprehend Mr. Hichilema. Ms. Katongo says that police officers told Mrs. Hichilema to wait as they were attending to another member of the public but she opted to leave and did not go back. She notes that Mrs Hichilema has decided to report the alleged theft, 18 days from the day it is purported to have occurred which is clearly an afterthought intended to damage the image and reputation of the Zambia Police. Ms Katongo says that when this allegation started trending in some quarters of the media, Police had made their own inquiries and it was established that the allegation lacked substance and was false on inquiry. She says that the police will therefore, not entertain the complaint as it has already investigated it and found to be false and malicious. The Meteorological Department has warned of high vulnerability of bush fire outbreaks due to accumulated biomass. Zambia Meteorological Department acting Director Professor Joseph Kanyanga says the current cool and wet weather conditions may also induce negative health condition especially to the young, aged and already health-compromised persons. He also says that the current cool and wet conditions being experienced in most parts of Zambia are attributed to a shallow layer of convergence between unstable and moist North-westerly winds from the Congo Basin and the moist and cool airflow from the South East. He says that this was associated with the low pressure system over west coast of Southern Africa. And Professor Kanyanga says that generally, the 2017 cool/cold season is expected to record lower temperature than the previous 2016 season. He says that this follows a relatively dry El Nino influenced rain season. Professor Kanyanga has advised the farmers to delay their harvest activities especially if they do not have immediate shelter. Zambia with highest levels of deforestation in the world. Government says the country has been rated number one in the world in terms of deforestation and carbon emission. Speaking during the launch of Bio-Carbon Partners Project BCP in Senior Chief Lwembe’s area in Nyimba, District Commissioner Peter Kunda says a land assessment by the government has revealed that Zambia is rated number one in deforestation and carbon emission adding that this was confirmed by the Department of Forestry. Colonel Kaunda further says that deforestation has contributed to climate change and global warming world over. He says 276 thousand hectares is being destroyed through deforestation every year in Zambia, by cutting timber, charcoal burning, farming and fire wood. Colonel Kunda says people need to act now to protect the forest by stopping to cut trees anyhow adding that the trend is threatening the livelihood of the people. The district commissioner says human beings, animals and other living creatures depend on the forest to survive. Meanwhile Bio-Carbon Partners BCP has given a cheque worth 579 thousand kwacha conservation fee to the community of Lwembe Chiefdom in Nyimba District. Speaking during the launch of the project, Bio-Carbon Partners Managing Director Hassan Sachedina said that the money is for the people of Lwembe, who have demonstrated their willingness to conserve the forest for the past six years, since 2011 when the project was introduced in the chiefdom. Mr. Sachedina handed the cheque to Community Resource Based CRB committees and Village Agency Groups VAG in the area through Chief Lwembe, who is the patron of the committees. He says the money is a forest conservation fee that will go towards different developmental projects initiated by the communities themselves adding that the company hopes the money will bring value to the people of Lwembe chiefdom. Mr. Sachedina explained that for the past six years the people of Lwembe had impressed him because of how they preserve the forest, which forced him to source for money from USAID United States Agency for International Development. He further revealed that the company is operating in two Chiefdoms in Nyimba District, Lwembe and Nyalugwe while other districts such as Rufunsa, Mambwe and Lundazi are benefiting from the project.